100% ready to fly, straight out of the box. Semi-scale appearance with four-color lozenge camouflage scheme. Ultra Micro size and light weight makes it ideal for indoor spaces. Fully proportional throttle, elevator and rudder control for exceptional maneuverability. Intermediate and expert pilots will enjoy the D.VIIs exciting performance. Low speed characteristics mean the D.VII is ideal for smaller flying sites. 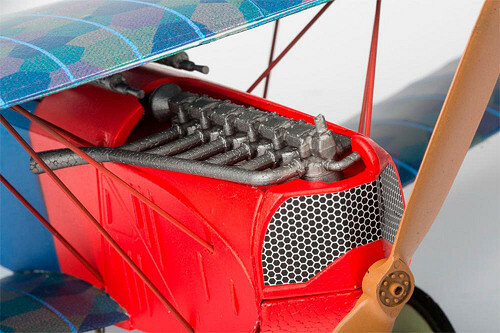 Crisp scale features include engine, propeller, undercarriage, strut, and panel detailing. Widely regarded as Germany’s finest fighter of World War I, the Fokker D.VII had a short wartime career as it was introduced towards the end of the war in 1918. Pilots praised the aircraft’s handling and ease of operation. Some 1000 examples were produced before the Armistice of November 1918 and manufacture continued post-war until a total of 3,300 had been built. 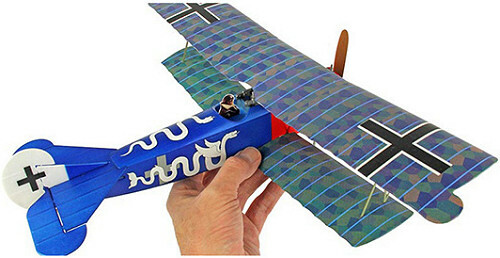 The Ares [air-eez] Fokker D.VII is a lightweight, three-channel ultra-Ultra Micro semi-scale model of the original. It features durable foam construction and numerous scale touches such as a scale engine and machine gun detail together with 4-colour lozenge camouflage wings. Technically advanced the Fokker D.VII incorporates a Hitec Red 2.4GHz receiver that’s compatible with all current Hitec 2.4GHz aircraft transmitters. For convenience, two versions of the model are available both supplied with Hitec Red protocol: choose either Ready To Fly (including a Hitec Red-enabled transmitter and receiver) or Pair To Fly (supplied with a Hitec Red receiver that’s compatible with your existing Hitec air transmitter). 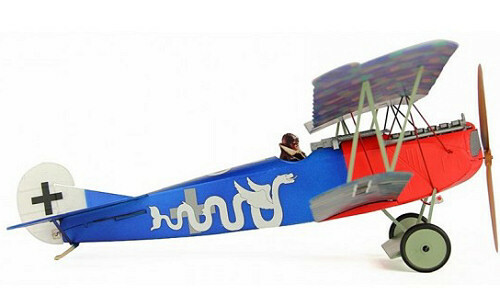 Weighing less than an ounce, the Fokker D.VII is ideal for indoor flight or outdoor flight in calm conditions whilst its slow flying characteristics and exceptional manoeuvrability make it suitable for small flying sites and both intermediate and expert pilots. 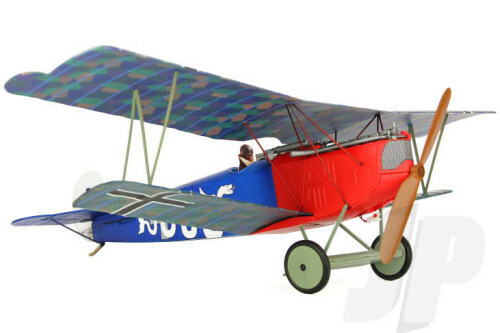 1 x 100% factory assembled Fokker D.VII. 1 x Hitec Red enabled transmitter with integral charger.